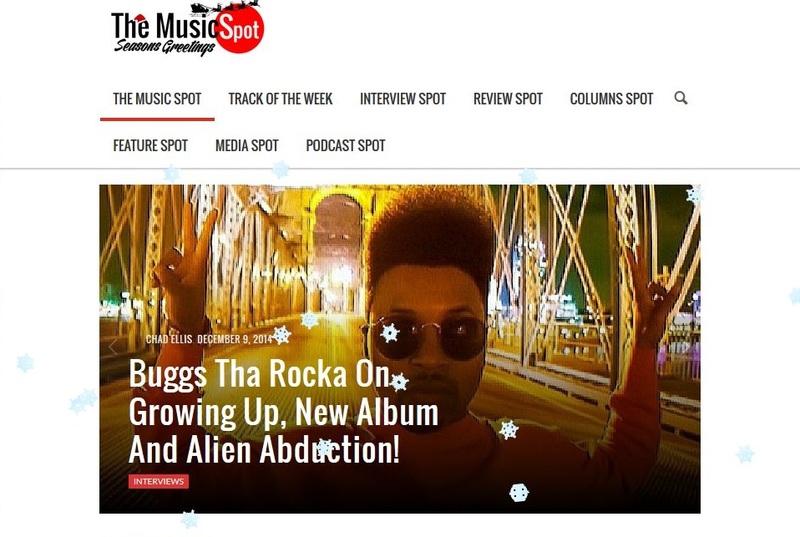 New Feature in the UK’s The Music Spot Magazine – Buggs tha Rocka speaks on Cincinnati, his new album….and being abducted by aliens! They speak about the origins of Buggs stage name and the experience of growing up in the Cincinnati area, his early days starting out in the music industry and the various life events which inspire him most lyrically. They then discuss the album itself, the concept behind it compared to previous releases before moving on to the political situation in the United States and the effect, if any, mainstream artists are trying to have in a positive way. The album will be available as a free download from Wednesday 10th December at www.buggstharocka.com and via the My MixTapez App for mobile devices. It includes production by Illmind, Jake One, Hop Trax, Sal Dali, and features Tanya Morgan, Chuck Inglish, MOOD, Phoenix Aphrodite, Aida Chakra and many more. Also releasing on the 10th December will be the official music video for the track “Religiously” taken from the album, featuring Donte of MOOD and shot in Los Angeles in November while Buggs was performing there with Mac Miller and DJ Clockwork at the Camp Flog Gnaw Carnival alongside Pharrell Williams, Earl Sweatshirt, Tyler the Creator and Rick Ross. Buggs Tha Rocka – Bad Habits (Official Music Video) from Buggs Tha Rocka on Vimeo.